I am very late in posting this, so huge apologies to all our entrants, but the good news is we have a winner! On Monday (11th March 2013) we held a random prize draw which consisted of me writing all the entry numbers down on slips of paper putting them in a box and shaking them up and then running up to Jane’s (my PhD supervisor’s office) to ask if she would do the prize draw. As Jane was just about to start a tutorial with some of her lovely 3rd year MPharm students, we asked one of them to do the prize draw instead. As you can see from the photo below William, one of our MPharm students is holding the winning entry number which he chose at random. The winning entry is blank brain number 5 which was definitely one of my favourites. 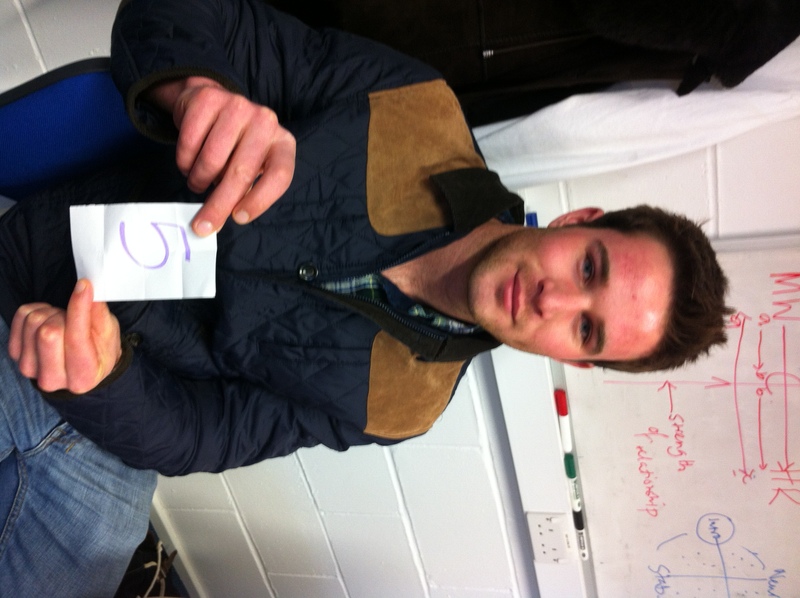 Congratulations to entrant number 5, a £50 Amazon voucher is on its way to you in the post now! I hope you find something lovely to spend it on. So that is the last blank brain competition for now / this project / my PhD, as we didn’t have any entries from our MPharm students. The good news is, I will definitely be staying on in academia (I will let you all know more details when that is all official) so I am hoping that I can run similar activities with my future research projects. Thank you so much again to everyone who entered a blank brain. 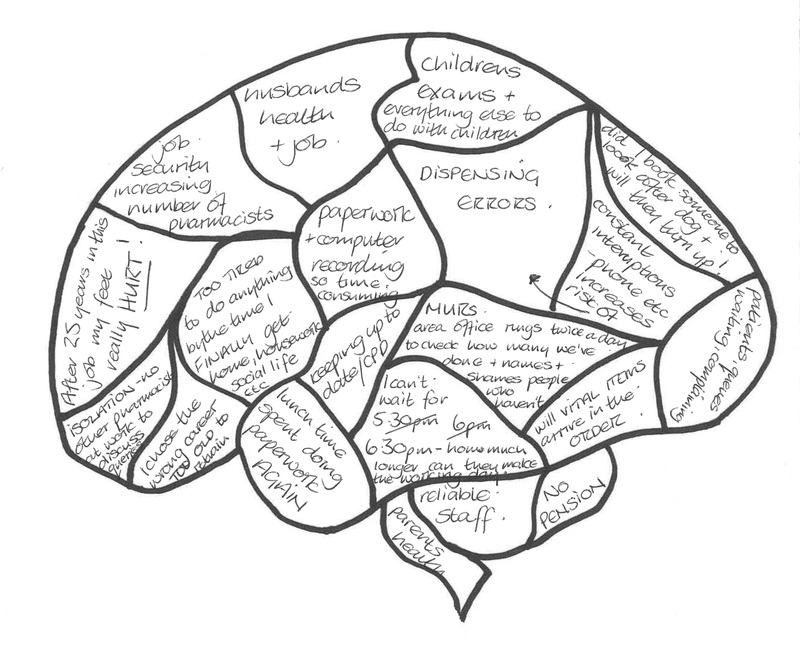 I am very proud of this aspect of my PhD, it was intended as just a bit of fun, but these images have been so useful in articulating the importance of mental workload to the safety of pharmacists’ work. It looks like human factors research is going to be used more and more to improve the safety of healthcare in the coming years, which is a great thing, and I am so excited that we were some of the first to adopt this approach in pharmacy.